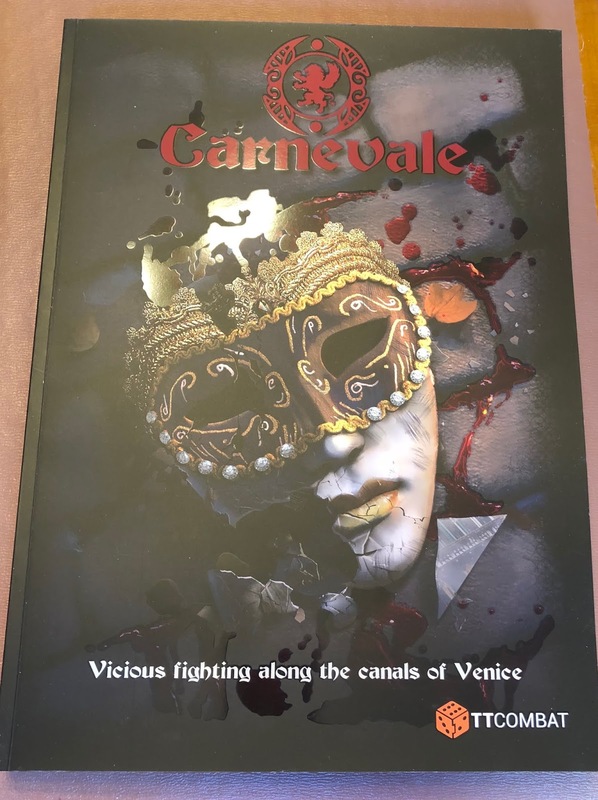 Carnevale is a game of fighting along the canals of Venice, published by TTCombat. I backed the basic kickstarter and it eventually arrived last week. About six months late, but I have heard of longer delays with kickstarters. 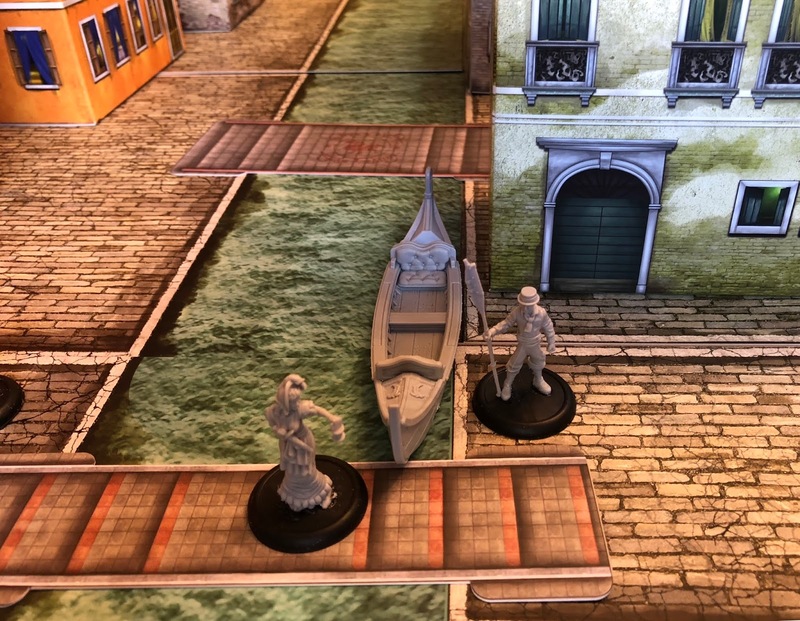 The setting is Venice in 1795, with a twist. The 'Rent in the Sky' has unleashed magic and ancient creatures alongside the usual array of characters you would expect in the 'City of Masks'. 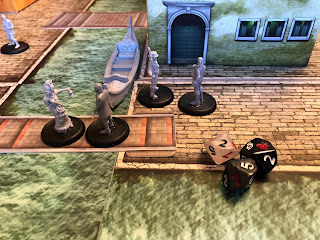 This is a gang game with a number of factions prowling the streets and canals. Just a few figures on each side will provide a basic game. In the kickstarter two player game, you get the 240 page book. 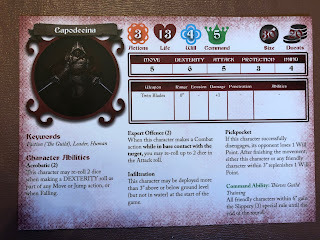 This gives the background to the setting, a description of each faction and the basic and campaign rules. The production quality is excellent and the content is well written. 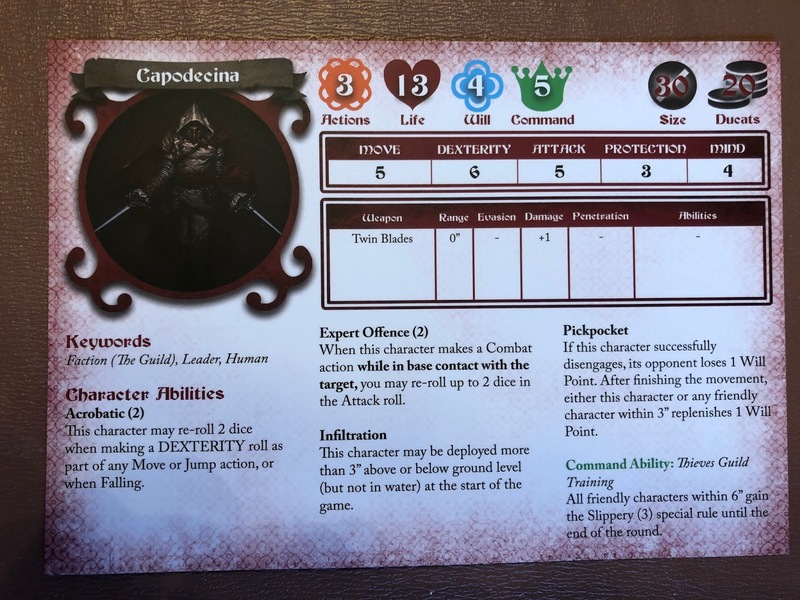 The rules take up less than 20 pages and there are separate card quick reference sheets. Then you need Venice, not an easy setting to create on the tabletop. 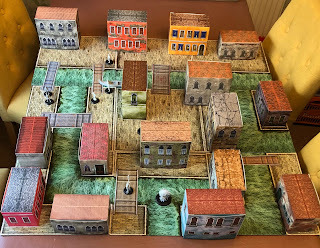 The solution used in this game is card tiles for the streets and canals. 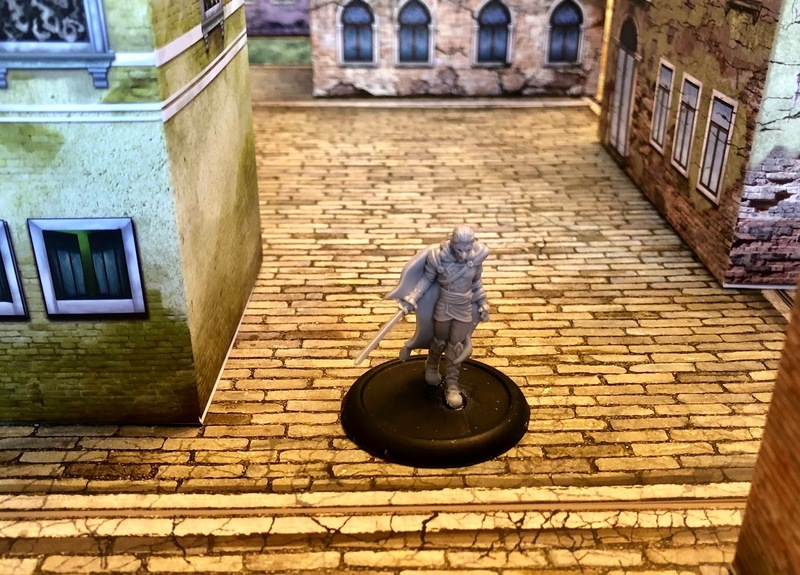 These can be moved around to create different settings and tabletop sizes. Buildings are simple card models that fold together without any further work. I was a bit sceptical about this, but they are well done and it works. Flat roofs don't look quite right but make sense in a game that involves jumping around buildings. You can purchase MDF buildings, but that will not come cheap and personally I am not a fan of any MDF buildings. They don't have the depth and texture of resin without a lot of extra work. The starter set comes with a number of attractive figures, which are well sculpted. However, this was the biggest disappointment. There was quite a bit of flash and trimming the base flash resulted in several figures losing legs or feet. They are far too brittle. I am not sure why they chose this method rather than the hard plastic used in my other recent kickstarters, Conan and Song of Ice and Fire. 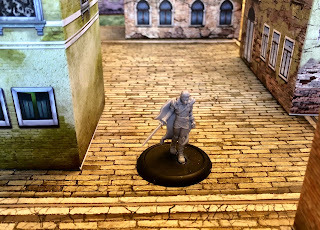 Gluing to bases isn't a problem, but they don't feel nearly robust enough for playing pieces. Other models require quite a bit of assembly, not something I am looking forward to with this brittle material. The basic rules for moving and combat are pretty straightforward. Each character has a card with more available for download from the website. They include factors and a points value which covers speed, dexterity, attacks, and protection. Certain characters can use magic and there is a pack of nicely produced magic spells. 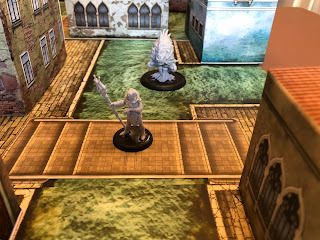 D10s are provided and more skilled characters roll more dice with a range of weapon and protection factors. Some record keeping is required. 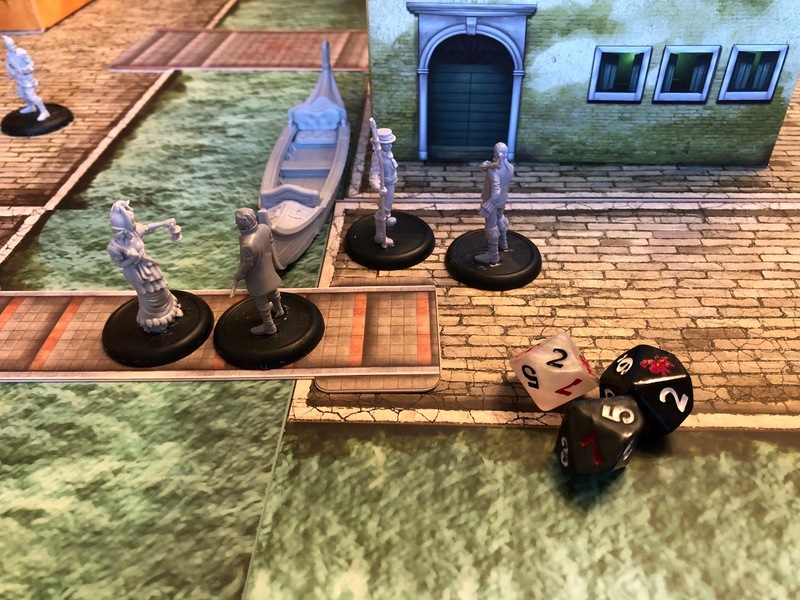 This photo includes basic citizen figures who roll three dice when attacking, although they can use special factors to supplement the attack. Overall, the game and terrain look pretty sound. The big failure is the figures, which was probably the biggest selling feature for me. I suspect this is one game that will stay in the box for some time before I garner the enthusiasm for assembling and painting them. On that basis, I am disappointed and can't recommend this product.